That was goal worthy of winning any game. Alvaro Morata's fantastic header proved the difference between Chelsea and Manchester United on Sunday. 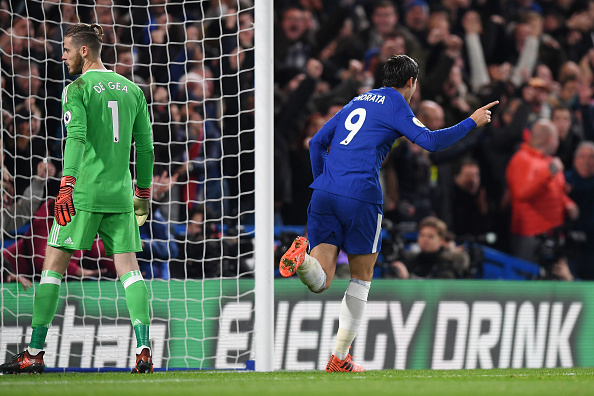 The two rivals played a frantic game at Stamford Bridge, with the Premier League champions taking control of the fixture in the second half, after an even opening period. The result leaves Jose Mourinho's side eight points behind Manchester City, and moves Chelsea a point behind United into fourth place in the table. While United were heavily criticised for their display against Liverpool at Anfield last month, few expected them to gain three points from this fixture. Even at their best under Sir Alex Ferguson, United rarely got a good result away to Chelsea. And if it wasn't for a moment of brilliance from Morata, and a wonderful cross from Cesar Azpilicueta, they might have escaped from Stamford Bridge with a point on Sunday.